Do you have thinning or brittle hair? You may want to take a second look at what’s on your plate. We are what we eat, so if your mane isn’t looking so healthy, it may have to do with your diet. Add these foods for hair growth to your diet for healthier, stronger and shinier hair. And remember to supplement your diet with hair-healthy nutrients with Viviscal Hair Growth† Supplements. Like red meat and beans, eggs are rich in hair-building protein. They’re also a great source of biotin, also known as Vitamin B7. Biotin is a super nutrient for hair — it supports healthy hair growth like few other compounds and, according to the Cleveland Clinic, it reduces inflammation to the scalp. Everyone could use some more leafy greens in their life. Vegetables like spinach and broccoli are extremely rich in vitamin A, vitamin C and zinc — all essential nutrients for thicker hair as well as for your overall health. 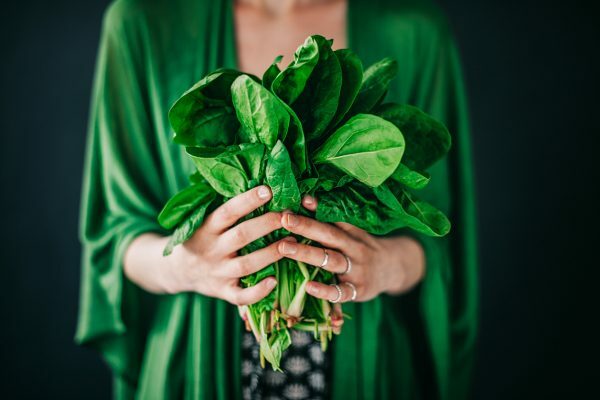 We especially like spinach because of its high levels of folate, beta-carotene and vitamin C. Together, these nutrients help your scalp to produce more of its protective natural oil, called sebum, which protects hair from dryness. A consistent diet with a mix of dark leafy greens will help regulate your sebum production for natural hair conditioning. And better-conditioned hair is shinier, healthier-looking hair. 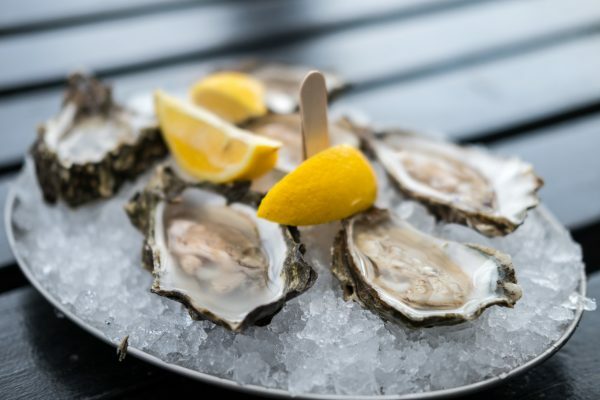 Oysters are one of the best-available food sources of zinc. Zinc deficiencies have been linked to hair loss as well as scalp health. Zinc also helps regulate your androgen production to prevent slowing hair growth and a 2013 study published in the journal Dermatology even suggests that zinc can prevent dandruff. If you’re not a fan of eating shellfish, zinc can also be found in beef, nuts, seeds, yoghurt and cheese. Lean red meat (think a nice, juicy sirloin) is loaded with protein, which helps with overall cell growth, including the cells of hair follicles. Lean red meat is also rich in iron, which is critical for hair health. In fact, iron deficiency and hair loss can go hand in hand. When your iron levels are healthy, your blood is better at carrying oxygen to your hair follicles to help them grow. However, eating too much red meat can increase your risk for other health problems like heart disease and diabetes. Striking a balance with one lean, healthy cut of beef once or twice per week can help you to grow thicker, fuller hair. Citrus fruits like oranges, grapefruits and tangerines are amazing sources of vitamin C.
Vitamin C is essential for the body to synthesize collagen, which helps lend hair strands their structure and elasticity. A vitamin C deficiency can lead to dry, weakened hair strands that break off more easily. Other sources of vitamin C include peppers, kiwi, melons, broccoli and berries. Nuts should be a regular feature on your healthy hair menu. In particular, walnuts are rich in alpha-linolenic acid, an omega-3 fatty acid that may help condition hair, plus biotin, zinc, vitamin E, as well as copper. Not a nut for walnuts? 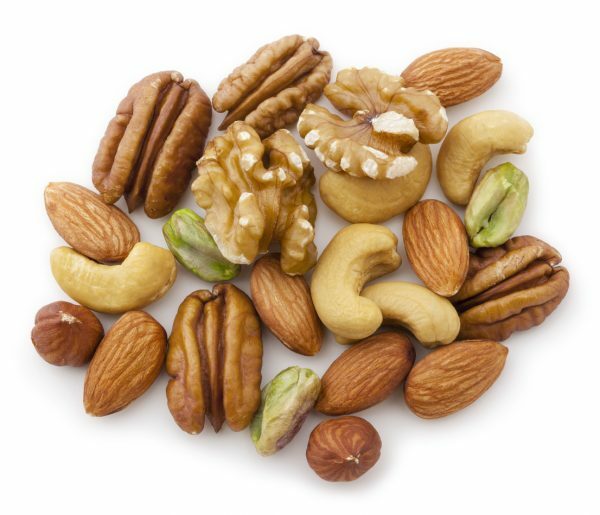 Try cashews, pecans, almonds or Brazil nuts. The UC-Berkeley School of Public Health calls the Brazil nut one of nature’s best sources of selenium, which research shows is an important mineral for a healthy scalp. Yup, you heard right. 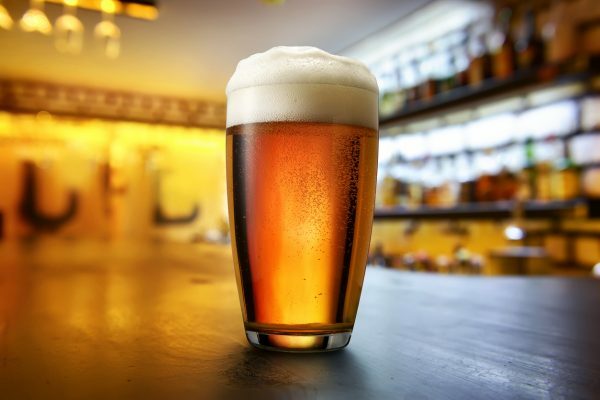 Beer made it onto the diet for thicker, fuller hair because it’s a good source of the micronutrient silica. You may have heard of silica in a more common form, silicon. Silica has been shown to strengthen hair cuticles, boost volume, and increase blood circulation to the scalp. But this isn’t an excuse to go overboard on brews! There’s no established recommended daily allowance (RDA) for silica at this time. Beans and lentils are a great way to get some important hair growth nutrients into your system like zinc, protein, iron and biotin. Especially if you don’t eat meat, beans and lentils are key for growing thicker hair. They have some of the highest levels of protein and iron of all vegetables. Plus, they’re very easy to cook! Add beans and lentils into a few dishes every week as part of your diet to improve hair growth and thickness. The caffeine content in green tea makes it a nice pick-me-up. But what you should really be excited about is green tea’s antioxidant properties, which may promote healthy hair growth. Green tea naturally helps get rid of impurities in your body that are blocking nutrients from getting where they need to be. Specifically, green tea can help improve the circulation of blood to your scalp. Instead of opting for coffee each morning, try to swap it with green tea. It will give you a healthier kick of caffeine while also creating an optimal growth environment for your hair follicles. A fully effective diet for thicker, fuller hair should definitely include seafood and marine protein. 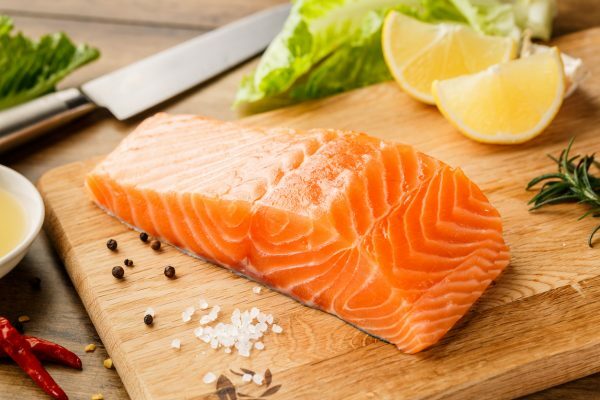 Fatty fish like salmon are an amazing source of protein, vitamin D, and omega-3 fatty acids. Omega-3 fatty acids are known as scalp rejuvenators — they’re great at moisturizing your scalp and encouraging a healthy scalp environment for your follicles to grow hair. You can boost your intake of marine extracts with a daily dose of Viviscal Hair Supplement, which has a proprietary marine protein complex called AminoMar™ that can only be found in Viviscal supplements. Healthy fats like those found in avocados help to keep your hair feeling soft and strong. Plus, healthy fats actually help the body to absorb the nutrients found in other foods and dietary supplements. 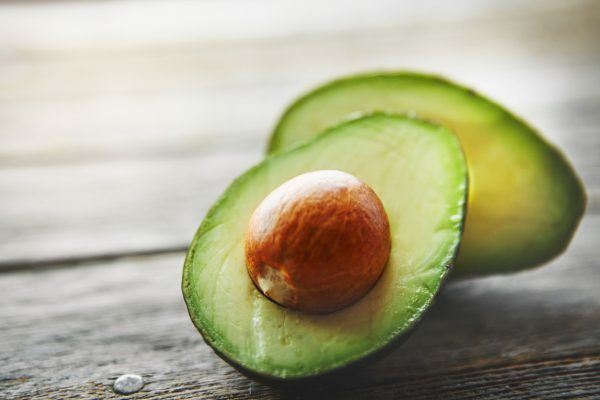 Avocados are also rich in vitamin E. According to dermatologist Dr. Dendy Engelman, vitamin E encourages capillary growth and has anti-inflammatory properties, both of which are good for hair follicles. Carrots have many benefits for hair, containing a multitude of hair-healthy vitamins and minerals, including vitamin C, B vitamins, vitamin A, phosphorous, vitamin K and potassium. Carrot oil is rich in vitamin E and can help to moisturize the scalp and promote healthy, shiny hair. Carrot oil is rich in antioxidants that can help protect hair from damage by free radicals. Carrot oil also has antifungal properties and can help eradicate dermatophytes, which are fungi that feed on keratin and affect hair growth. Scour the grocery store aisles for low-fat dairy products such a skim milk, low-fat cottage cheese and nonfat Greek yoghurt. All are great sources of calcium, an important mineral for hair growth. They also contain whey and casein, two high-quality, hair-friendly protein sources. Dairy products are high in vitamin B5 (pantothenic acid, an ingredient sometimes seen on hair care product labels) and vitamin D, which is often linked to hair follicle health and helps the body absorb calcium. With its well-deserved reputation as a superfood, the sweet potato contains omega-3 fatty acids, magnesium, phosphorus, potassium, sodium, zinc, and vitamins A, B, C, K and E. It is also an excellent source of beta-carotene, a powerful antioxidant, which your body turns into vitamin A. No cell in the body can function without enough vitamin A. Though some experts link vitamin A to thinning hair, the vitamin promotes the production of sebum, which is a natural moisturizer for strands. Carrots, cantaloupe, mangos, pumpkin and apricots are all good sources of beta-carotene. There you have it: 14 foods that can help grow thicker, healthier hair from the inside out. If you can stick to a consistent diet that includes these foods, you can see results over time.